Protecting the Watchic Lake watershed (3.5 square miles surround the lake) significantly improves the water quality in Watchic Lake, and thus improves our enjoyment of the lake and helps maintain lake front property values. While water quality today is good, its critical, especially as areas around the lake are developed, that we stay focused on protecting the watershed, and Watchic Lake. 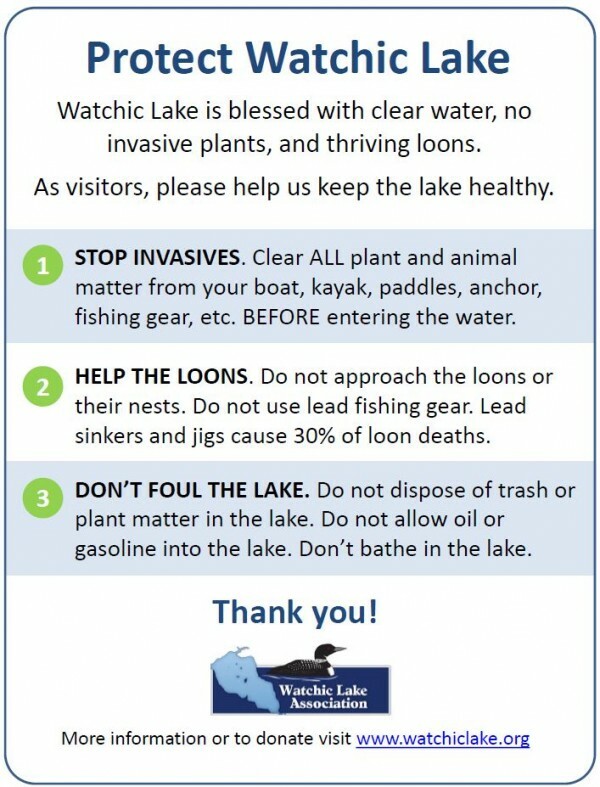 Below is a summary of the some things Watchic Lake property owners can do to help protect the lake. More detailed information on lake protection can be found at the Maine Lakes Environmental Association at and the Maine Department of Environmental Protection. 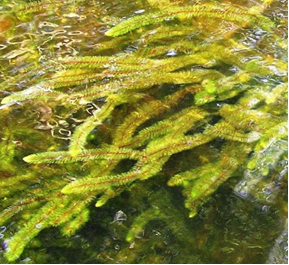 We are fortunate that Watchic Lake has not experienced invasive plants such as variable leaf milfoil (myriophyllum heterophyllum) or Eurasian watermilfoil (myriophyllum spicatum). Yet, we must be diligent in looking for these invasive plants when launching boats, kayaks, canoes, and in general as we use the lake. If an invasive plant is found early, it may be possible to remediate it quickly and cost effectively. We must all be diligent about keeping the invasive species out of Watchic Lake – but how? Always remove all plants from your canoe, kayak, boat, trailer, oars/paddles, fishing gear and anchor when going in and out of a body of water. Dispose of any plants in the trash – not onto the ground. 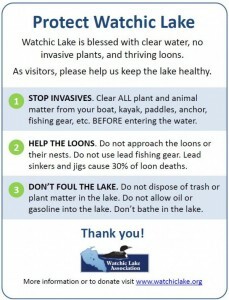 Learn more about Managing the Threat of Invasive Plants and Wildlife on Watchic Lake. Melting snow or a summer rainstorm can quickly wash phosphorus from your fertilizer and other pollutants off your lawn and into the lake. Phosphorus is like junk food for algae causing it to grow out of control, turning our waters green, lowering water quality and even killing fish. Most soils in Maine naturally have enough phosphorus to keep a lawn lush and green so if you use fertilizer, make sure it is phosphorus-free (noted by the “O” in the middle number describing the fertilizer blend). More information on the proper use of fertilizers can be found at Maine Department of Environmental Protection. The trees, shrubs and other vegetation that line shore at your camp are the last line of defense in reducing nutrient rich runoff into the lake. 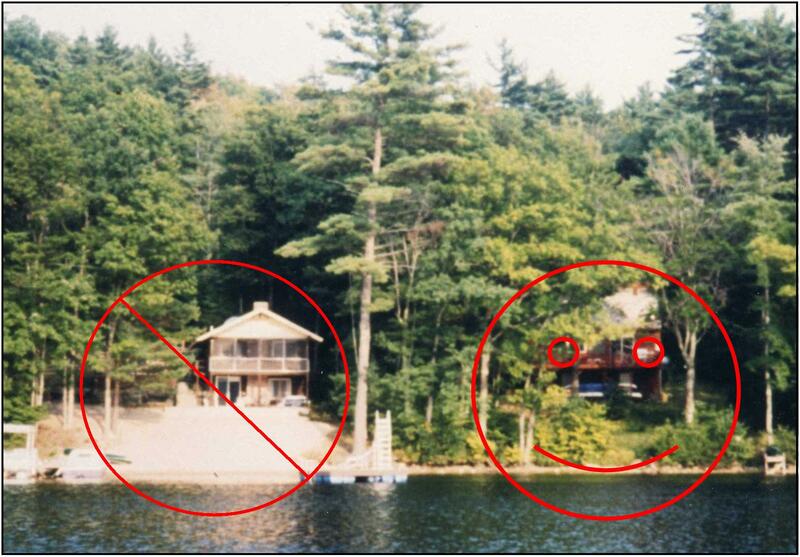 Clearing vegetation may improve your view, but it harms the lake. Keep as much of the natural vegetation as you can. Add new native shrubs to shoreline areas with limited vegetation. Native plants such as beebalm or blueberries provide more runoff protection than grass. If vegetation cannot be added to bare areas, look into adding a erosion control mulch (much heavier than other types of mulch with a mixture of elongated fibers, gravel and soil lock together to protect the underlying soil from erosion). The Maine Department of Environmental protection provides more detailed information and the graphic highlighting good and back shore land protection. Before making any changes, be sure to check with the Standish Code Enforcement Office . They are here to help and advise. The Portland Water District is dedicated to helping all of us better maintain our lakefront property and thus the quality of our lakes. They remind us that vegetated buffers of trees, shrubs and groundcover plants catch sediment and other pollution before it reaches lakes or streams. Trees and shrubs intercept raindrops and reduce their impact on the soil. Low growing plants and the “duff” layer on the ground filter runoff. Root systems hold soil in place and absorb water and nutrients. In addition, buffers can enhance privacy, filter noise and wind, and attract birds, butterflies and other wildlife. Much more detailed information is available from the Portland Water District on the type of plants to choose for your specific location. See the full list of Portland Water District Publications and select “Environmental Fact Sheets, Brochures, and Posters” to find the information you need. Did you know that the tires on our vehicles wear down on the roads, leaving tiny bits on the roads, which then washes across the roads down onto our lakefront properties? With Watchic Lake being bordered by two main roads and dozens of smaller camp roads, runoff is a real problem. To prevent the tiny bits of tires (along with other stuff) from polluting our lake we need to zip up the shoreline. Plants and trees are the natural barrier. But if you have paths to your docks or beaches, super humus (aka “erosion control mix”) can be used instead of regular mulch. Super humus is different than other mulching because it locks tightly together and holds water better. Click for more information on super humus from the Portland Water District. Runoff from improperly maintained driveways, paths, and roads adds nutrients to the lake, and thus reduces water quality. Keep an eye out for sand and gravel piling at the base of your driveway – it’s a good indication that some maintenance is required. Before making any major changes, be sure to check with the Standish Code Enforcement Office . They are here to help and advise. The Maine DEP “Maine Camp Road Maintenance Manual” provides much more detail on how to maintain your driveway and roads. 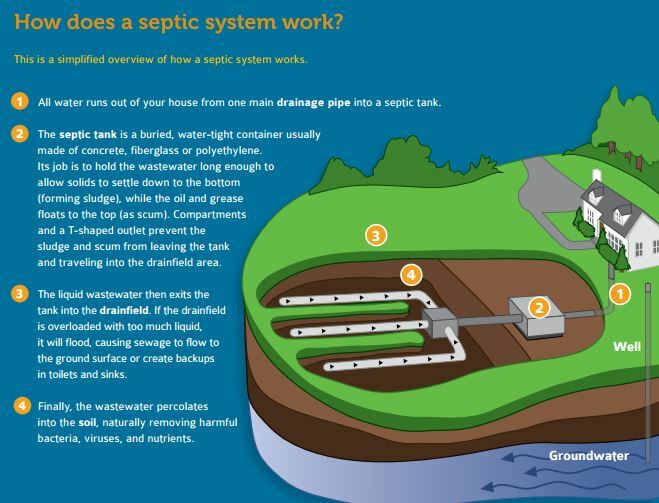 When septic tanks are not pumped regularly, sludge from the tank begins to flow out into the leach field, which can lead to the system to fail, resulting in sewage runoff into lake – threatening water quality. Have your tank pumped every two to three years if you live there year-round and every five years for seasonal properties. Pumping your septic tank regularly will extend the life of your system and protect the lake. Regular maintenance fees of $200 to $300 every three to five years is a bargain compared to the cost of repairing or replacing a malfunctioning system, which can cost between $3,000 and $7,000 for a conventional system. 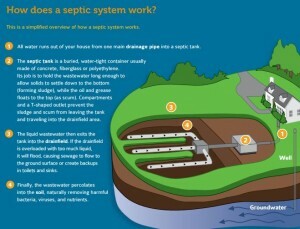 The US Environmental Protect Agency has some great information to help you learn about and maintain your septic system. Click here to learn more about SepticSmart. The Maine LakeSmart Program offers free opportunities for homeowners to learn how to manage their home and yard to protect the water quality of their lake. The primary focus of LakeSmart is to keep our lake water clean by stabilizing eroding areas, reducing the use of chemicals, diverting rainwater into vegetated areas, and maintaining or planting trees, shrubs, and ground cover along the shore land. Learn more about LakeSmart on Watchic Lake and how to join.